After reading Wyman’s book, one should read William D, Rubinstein’s “The Myth of Rescue” and then consider the arguments in both books. Rubinstein is very controversial, but thanks for the reference. Urwand’s book really understates how much antisemitism existed in the USA in the 1920’s and 1930’s. Birth of a Nation in 1915 did revive the KKK — membership went from about 50,000 to over 6,000.000. 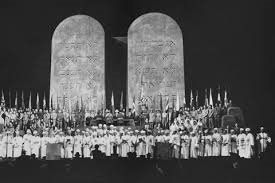 In many states in the Midwest and South, all the lawyers, except for the Jews, were in the Klan. In 1915, Leo Frank was lynched for a crime he did not commit. Father Coughlin was on the radio two or three times a week or more. From the 1890’s to WW2, Jewish boys outside NYC grew up being attacked by good Catholic boys for being Christ killers. What happened to nearly all Jewish boys at least once was being chased down by at least a half-dozen guys, getting tackled to the ground, their pants pulled down, and their limbs splayed out under the weight of the boys standing upon their legs and arms, while they pissed on the JEW. Jewish men never forgot that type of thing, although they would never talk about it. They sure as hell would not go to the police because the police would not do a thing about it, except perhaps arrest the Jewish boy’s parents for making the “false complaint” since everybody knows things like that didn’t happen. Not only outside of NYC but well within the Fives Boroughs… The “ginos” were beating-up Jewish kids calling them “mazzacrist” (a term used in the very popular movie of the early ’70s “Mean Streets” in the pub by Harvey Keitel and Robert De Niro when they talk about the two Jewish girls in the typical Italian spiteful manner. Watch it and pay attention to the detail). The term is a deformation of the Italian “ammazza cristo”, that is christ killer. RE. Hecht: be sure to read ERIK DORN if you want to see all the intricacies and contradictions of his Jewish self-identity views as they changed in the decades before the second war. I tried to cover some of this in a long monograph on Hecht in TWENTIETH CENTURY AMERICAN JEWISH FICTION WRITERS, vol. 28 in the Gale Biography Series, a while back. His papers are still at the Newberry archives in Chicago. BTW, I got this twenty two years ago first hand from Rose Kahan, z”l, widow of Fred Kahan, z”l, founder of the West Coast Jewish National Fund, who around 1942 broke off a long friendship with S.S. Wise over his “callous refusal to do anything to bring the Holocaust to public attention in the Jewish Community and outside of it, not wanting to spoil his personal relationship with FDR”. Also connected to his, Rabbi Kotler, zt”l, and Hillel Kook’s, zt”l, work on behalf of the Jews DURING the Shoah in the Vaad Hatzalah, I suggest the reading of “A Fire in His Soul”, a biography of Irving Buni, zt”l, which higlights how few were those who, among US Jews, did anything to save the Jews living under nazi boots. It’s to be noted that the NY Times, following FDR’s and the Reform Jewish establishment’s dictates, practically ignored the issue during the whole war, except publishing a piece on an event organized by Hect & the above mentioned people at the Madison Square Garden. The book “The Abandonment of the Jews” by David Wyman also points out a few “unpleasant” truths. 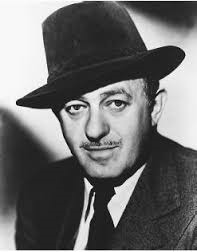 Recall that Ben Hecht’s autobiography was published in 1954. By 1970 he would be dead, and it was not until 1986 that Wyman and Lipstadt published their exposés of Roosevelt and Churchill. 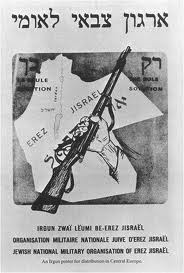 But I don’t remember any allusions to Hillel Kook or the Irgun. It may be my faulty memory. Wyman’s book was published in 1984, some time after the top secret documents were revealed by Congress. It’s a very interesting reading, updated a few years later (I saw an expanded edition from 1998) in several other editions. Hecht’s “Perfidy”, is about the Kastner Trial, mainly, yet it gives lots of info on the period. The most detailed – and even moving at times – is Irving Bunim’s biography “A Fire in His Soul”, which highlights the UNIQUE work of the Vaad Hatzalah (Commision to Save the Jews).